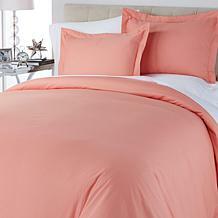 Duvet covers are arguably just as important as pillow cases and sheets when it comes to making your bed look complete. Not only do these bedroom accessories make the beds look beautiful, but they protect the duvet underneath from pet hair, stains, and tears. Shop today and discover a wide selection of styles and colors. 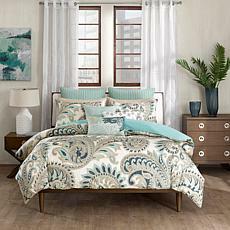 Whether you focus your attention on options that contain just one shade or several, it's easy and fun to make your bed show off your personality in a way that earns compliments. 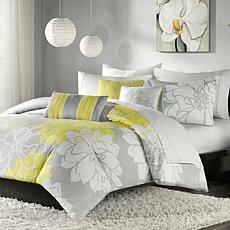 You can also give the bed a coordinated look with one of the many duvet cover sets. 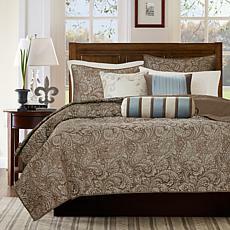 They typically include a duvet cover, at least a couple of shams, and decorative pillows. 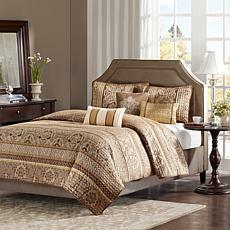 After finding a design you like, just put all the pieces on the bed and appreciate the matched appearance. 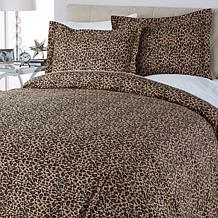 If you're expecting guests soon, it's a good idea to shop for duvet covers that'll outfit the beds used for visitors. Plan ahead and consider buying two sets, so you can always have one on the bed and one in storage. When taking that approach, you never have to scramble to wash the bedroom accessories in time. 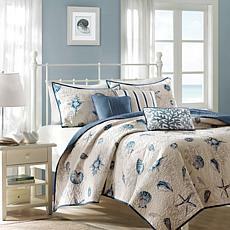 Pick out your favorite duvet covers from HSN. Also, consider making the cost easier to handle by paying in installments.